Preheat oven to 220°C (425°F). Line 2 baking trays with non-stick baking paper. Place the flatbreads on the prepared trays. Using a small sharp knife, carefully make a little cut in each tomato and, holding it over a bowl, gently squish to remove the seeds and excess juice (it’s a good idea to wear an apron for this part). Tear the tomatoes in half and set aside. Discard the seeds and juice. Using the back of a spoon, spread the puree over each flatbread until it’s almost all the way to the edges. 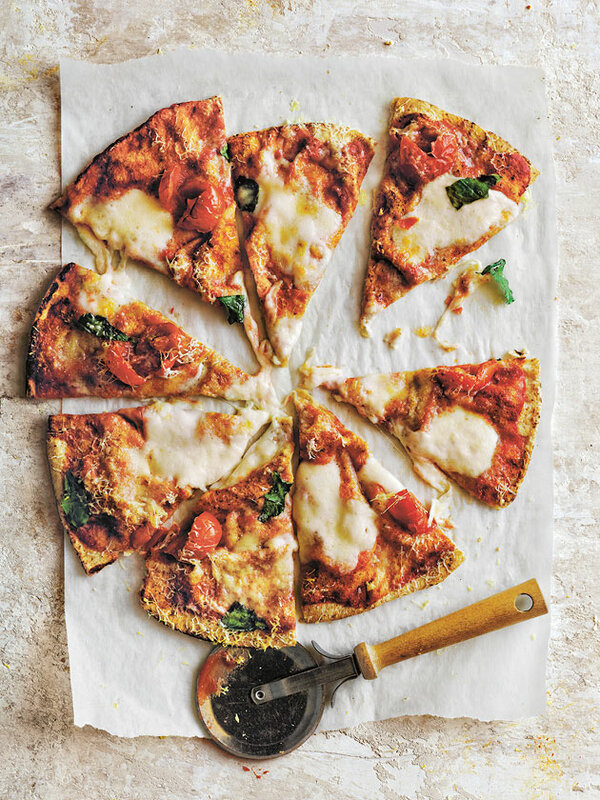 Divide the torn tomato and bocconcini between the pizza bases. Sprinkle the pizzas with the parmesan and top with the basil. Bake for 10 minutes or until the cheese is melty and golden and the base is crisp.